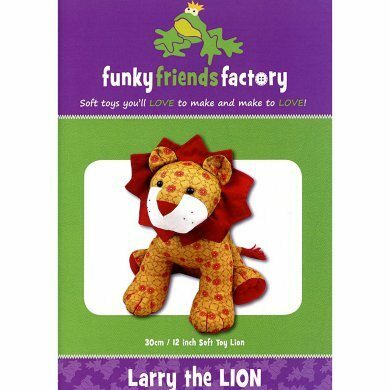 This cute little lion is the newest addition to the Funky Friends Factory “Out of Africa” range. He?s not a very scary lion, more of a cuddly fellow, but I think he?d be brave enough to scare away the monsters under the bed at night! Fleece, of any type, and other stretch fabrics eg. velour, chenille and flannelette. Larry can be made from non-stretch fabrics like quilting cottons – he may just get a few puckers around his snout!